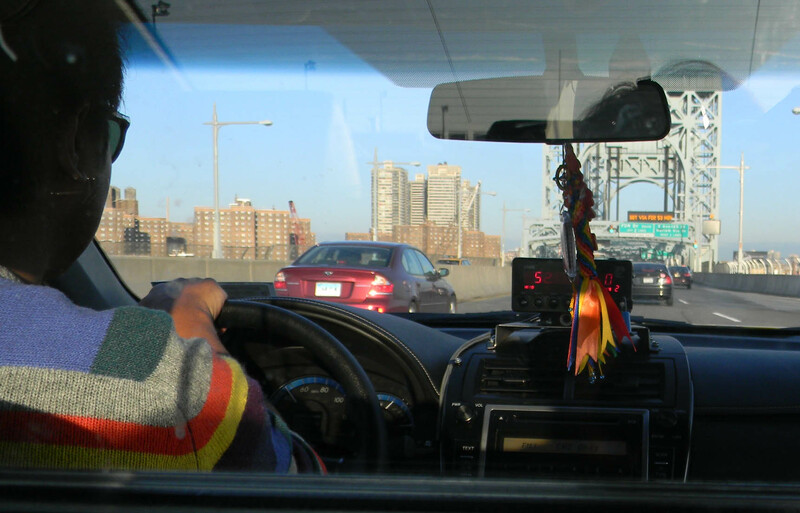 Thanks to JetBlue, Epicurious Travelers from Portland, Maine, can be in New York City in less than an hour. 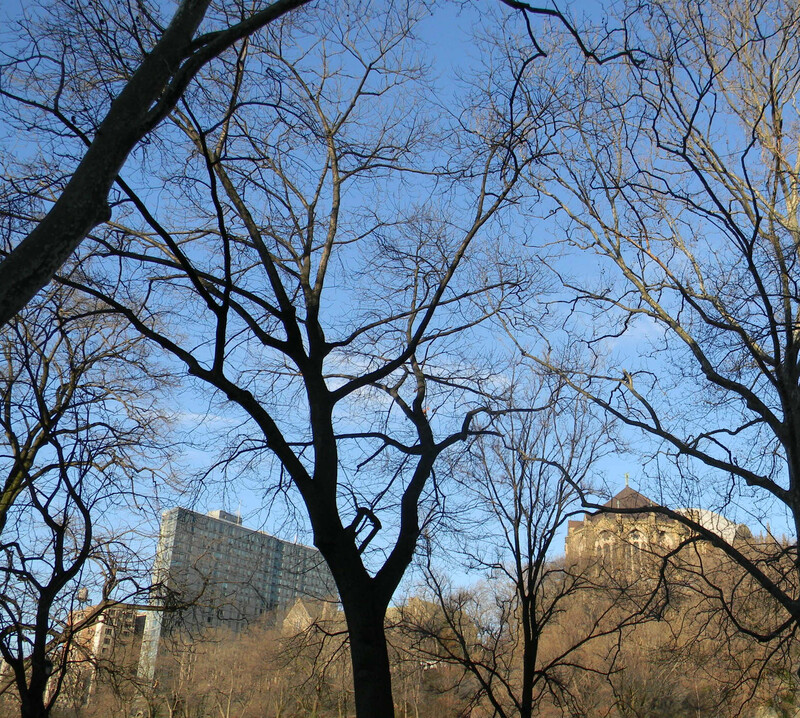 I take advantage of this crazy phenomenon to meet my oldest friend for a sunrise breakfast in Morningside Heights. The cityscape is wildly colorful. Sometimes a little bleak, but always interesting. And if you don’t like the view, I am so sad for you. 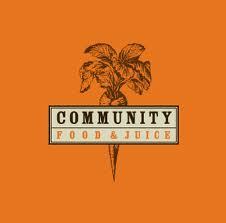 We meet at at Community Food and Juice on Broadway. I graze on whole-wheat breakfast biscuit with chicken-apple-rosemary sausage. There are carrot hash browns and tomato jam. 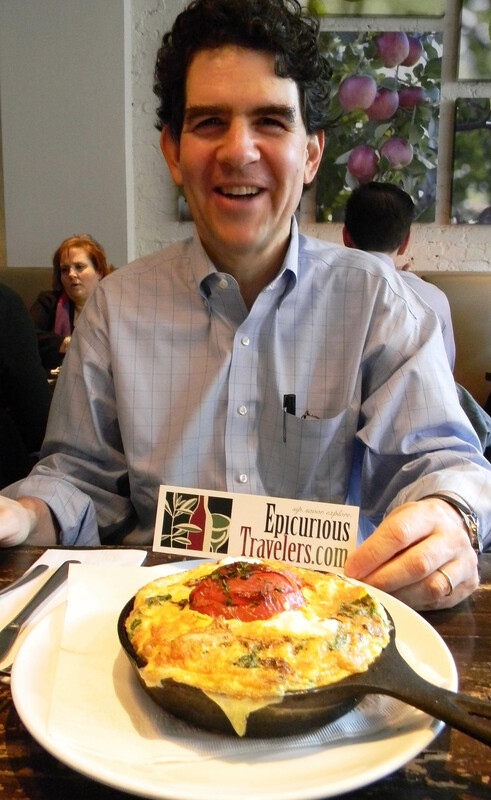 Stevie’s omelet features local feta and free-range eggs. Delicious. This place caramelizes everything, from bananas to applesauce. You cannot possibly argue with any of this. 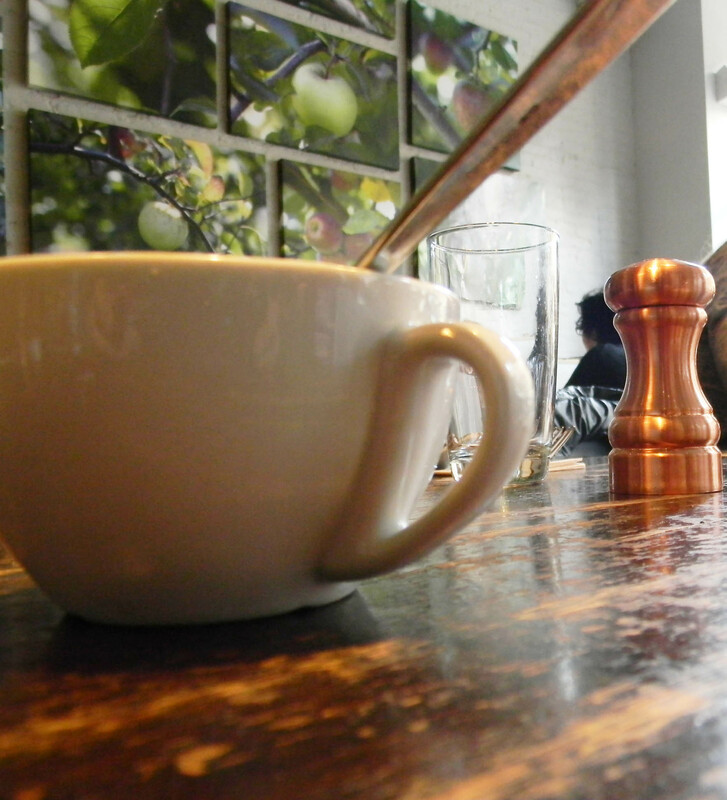 Local Brooklyn Roasting Co. coffee is served with “traceable” cream from Battenkill Valley in Salem, NY. Lovely and amazing. 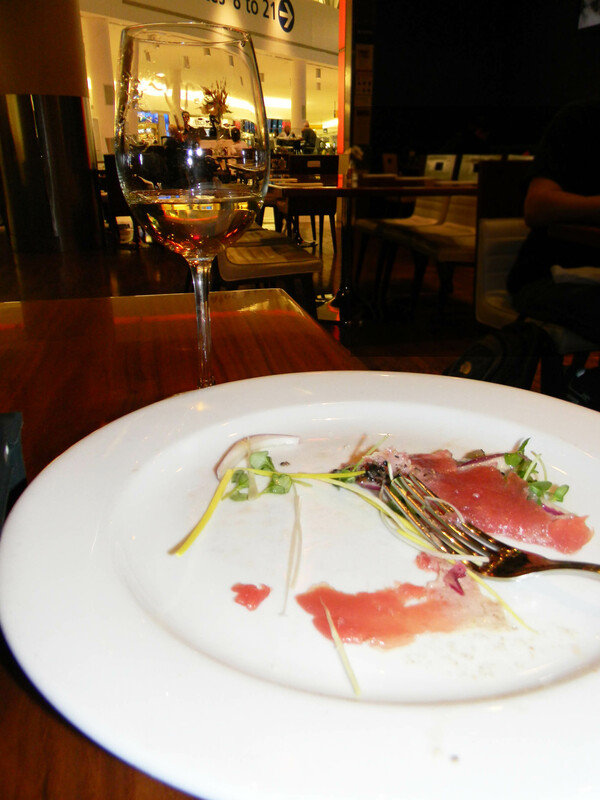 After a fully productive day, I recharge at JFK airport’s AeroNuova with a plate of tuna tartare – not bad. The respectable wine list is mostly Italian, and there are plenty of outlets for your iPad. 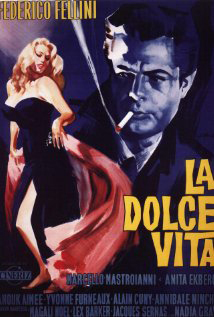 Best of all are the endless Italian films. 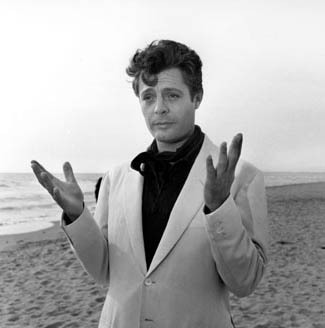 I sip a glass of Gavi under La Dolce Vita and watch the beautiful “Marcello” being abusive and wretched. In the last scene, he shrugs – che bello! and forgives himself. Ms. Margolis-Pineo created EpicuriousTravelers.com to showcase her published work and ongoing food-travel adventures. Based in Portland, Maine, she travels frequently both in her home state and north to Montreal, her favorite North American city. Although she refuses to use the word "foodie," she has an abiding interest in food and wine. Ms. Margolis-Pineo is also a graphic designer, giving her site a decided edge in an oversaturated blogosphere. New contacts, "likes," subscribers and content are welcome! 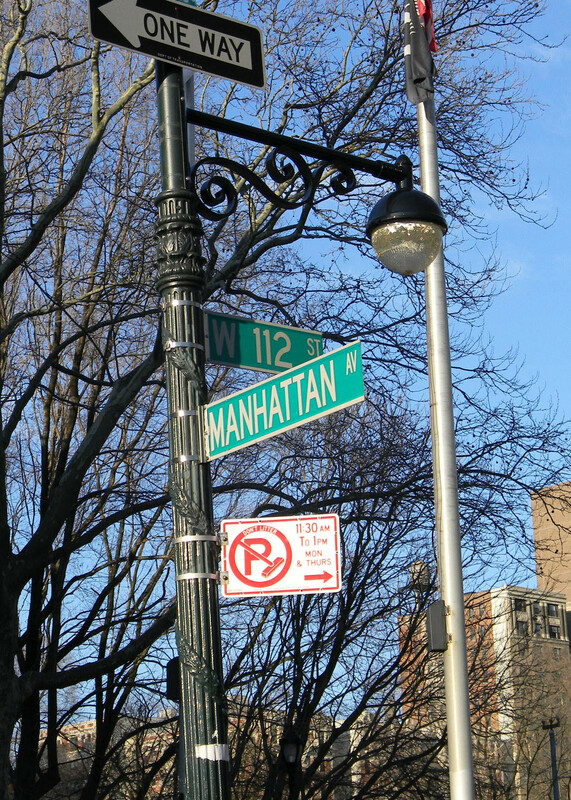 This entry was posted in Food and Wine, New York City and tagged AeroNuovo, Brooklyn Roasting compnay, Federico Fellini, JFK Terminal 5, locally sourced, Marcello Mastroianni, New York City, NY, Salem. Bookmark the permalink. Libby, Your photos are brilliant! I have ordered a Nikon Coolpix from Amazon. It was recommended by Consumers, It should be here in a week or so. You can use it here instead of shlepping your camera. I hope it is as good as yours! I just forwarded this to Nancy and Jacob. Did you send it to the whole family? Ask for Barrie & Julie Webb!